According to a recent survey from PwC, health and wellbeing issues are affecting employees’ ability to carry out their day-to-day roles. 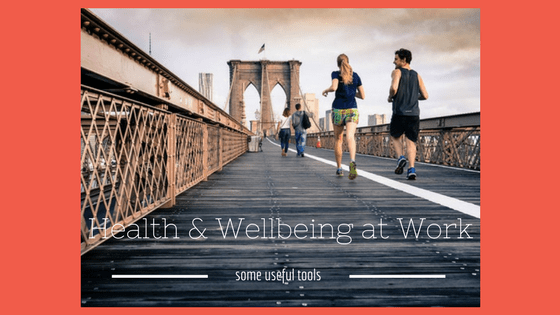 In the light of these findings, we thought it might be helpful to present a round-up of some of the articles and resources on our website together with the training courses we can provide to help individuals and management tackle health and wellbeing at work. There are many stress management tips on our site, we encourage people to have a browse and discover what works best for them. We would also highlight our series of 6 short articles looking at ‘How to Switch Off After Work’. The survey also highlighted that almost half those surveyed believe technology can play a part in improving their wellbeing and said they would be open to using an app. Our page “Using an app to boost resilience, reduce stress or improve mental health” lists a selection to help get you started. Is this common daily habit damaging your resilience and making you vulnerable to ill health? The Health and Safety Executive (HSE) developed the Stress Management Standards some years ago. If not managed properly these 6 key areas of job design can lead to poor health and wellbeing, lower productivity and increased sickness absence. The HSE website gives full details about the standards, as well as statistics, case studies and other resources to help organisations deal with work-related stress.